Ophiopogon is extremely beautiful and unusual evergreen grassy plant from the family of Asparagaceae. This decorative perennial concerns to be one of the most rare, but enough unpretentious plants. In the nature, there are about 20 types of ophiopogon. Besides, many of these types were mixed thanks to what there were numerous hybrids with decorative bright strips on leaves. 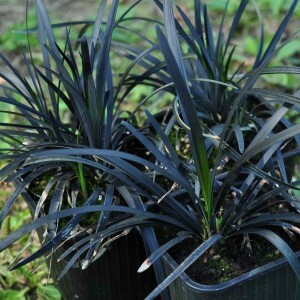 The ophiopogon, despite the compact sizes, always draws attention. The plant has rhizomes or short escapes, linear leaves and inflorescences from lilac flowers which in the form remind cones. Narrow leaves are collected in bunches.